Let’s do a walking exploration in the charming capital of Vietnam, Hanoi, which is also the 2nd largest city of Vietnam. The city, with a fascinating blend of East and West, combining traditional Sino-Vietnamese motifs with French flair, has both modern developments and preserved old monuments such as Old Quarter, Museum of Ethnology, Hoa Lo Prison, etc. 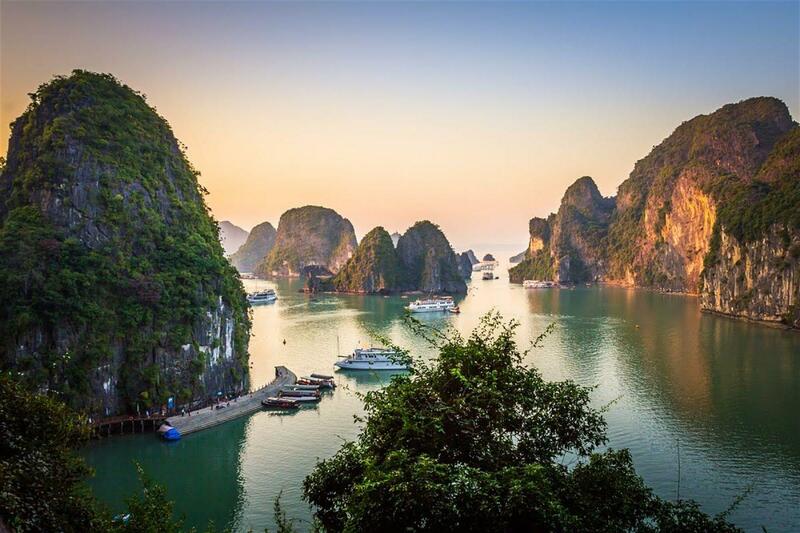 Besides the fascinating Hanoi, Vietnam also has another well-known must visit place, the marvellous Halong Bay. 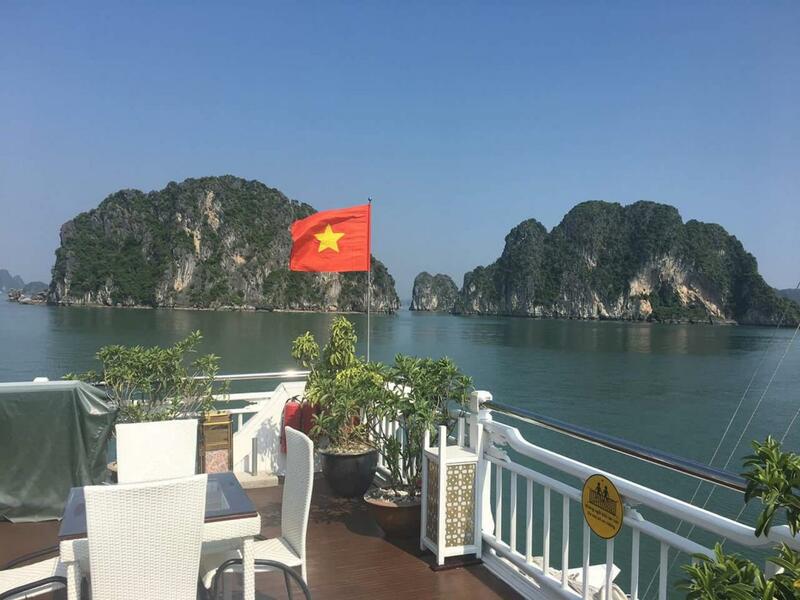 This trip also includes a 2 day / 1 night discovery cruise to the beautiful nature of Halong Bay. 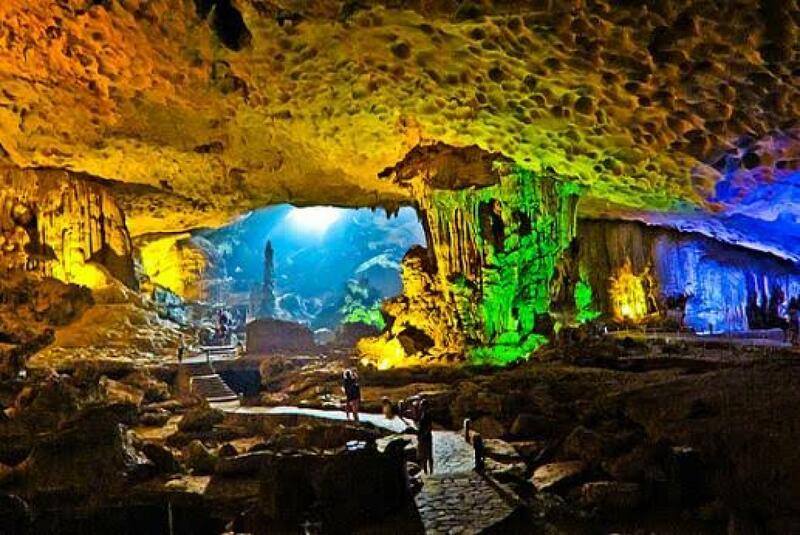 Located in the Gulf of Tonkin, within Quang Ninh Province, in the northeast of Vietnam, is 165 km from the capital of Hanoi. 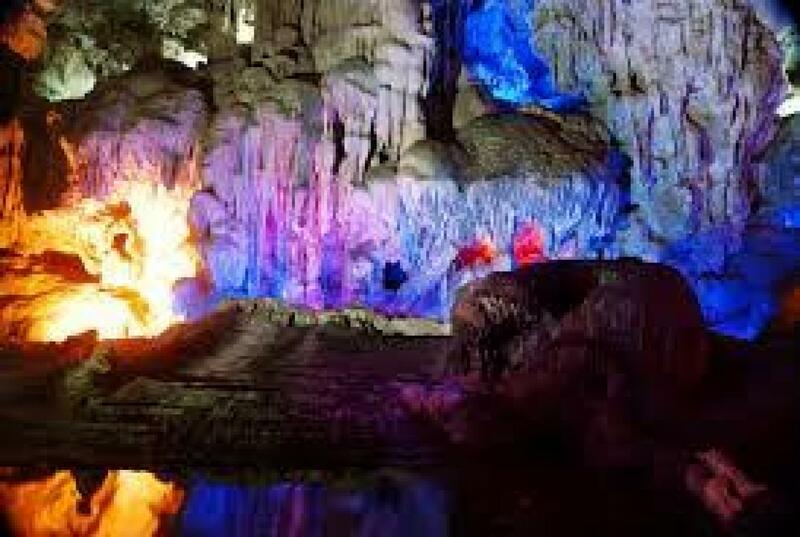 Covering an area of 43,400 ha and including over 1600 islands and islets, most of which are uninhabited and unaffected by humans, it forms a spectacular seascape of limestone pillars and is an ideal model of a mature Karst landscape developed during a warm and wet tropical climate. Kayaking in Halong Bay is the best way to explore the breathtakingly beauty of Halong Bay. Paddle through islets; visit hidden caves, lagoons, unspoiled beaches and floating fishing villages…get closer to limestone karst and enjoy the breathtakingly nature in a less visited corner of Bai Tu Long Bay. Meet at Changi Airport for flight to Hanoi, flying to Hanoi. Upon reaching Hanoi, we will be pick up by minivan to our 2 1/2* Hotel at Old Quarter. After lunch, we will start the walking tour to discover Hanoi’s Old Quarter which is famous with “36 guild streets” in the past time at 1400PM. Nowadays, the villages were turned to streets and many of them didn’t feature the business as it names anymore. But take your time to wander along the old streets and you surely gain many exciting experience. Names of some streets with typical products: Bat Su (China Bowls), Cha Ca (roasted fish), Hang Bac (jewelries), Hang Dau (shoes & sandals), Hang Gai (silk), To Tich (mixed fruits), Hang Luoc (comb), Hang Duong (candies & dry apricot), Hang Buom (bamboo product). 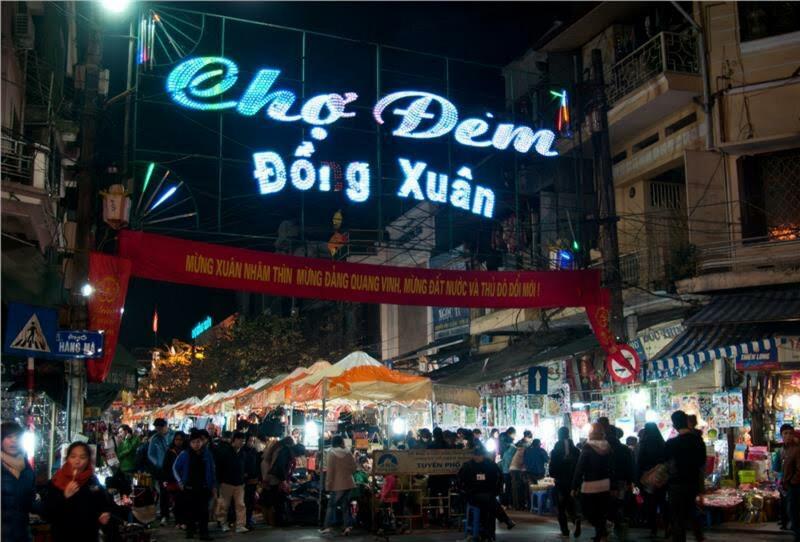 In addition, 4 walking streets Hang Dao – Hang Ngang – Hang Duong – Dong Xuan which formed “Night market” in the evening from Friday to Sunday is also a nice place to explore. Despite the damages that Vietnam War left in Hanoi, the Old Quarter still retained much of the original traits that interests tourists, especially those with architectural passion. These houses are neither tall buildings as people normally see in cities nor stilt houses on lines of poles, which were popular in Vietnams’ mountainous regions these days. They are also called “tubular houses” which are short and narrow but have great length. 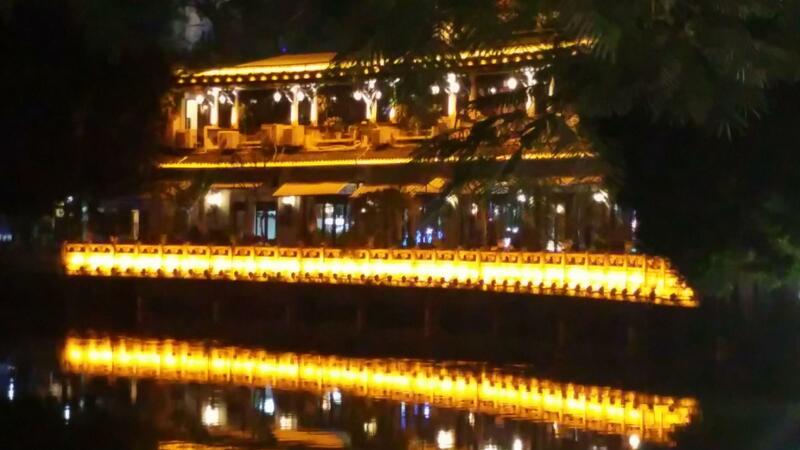 After walking around and enjoy some local specialties (own expenses), continue to Hoan Kiem Lake area where you can pay a visit Ngoc Son temple or enjoy a drink at Fany Ice Cream, Thuy Ta Ice Cream or some famous café shop/restaurants nearby. In the evening after Dinner, we will walk the night market at Dong Xuan. 09.00AM we will be heading to the Vietnam Museum of Ethnology. Visitors are welcome to browse some of the vast research on offer at this public museum which is also a centre for ethnographic research. 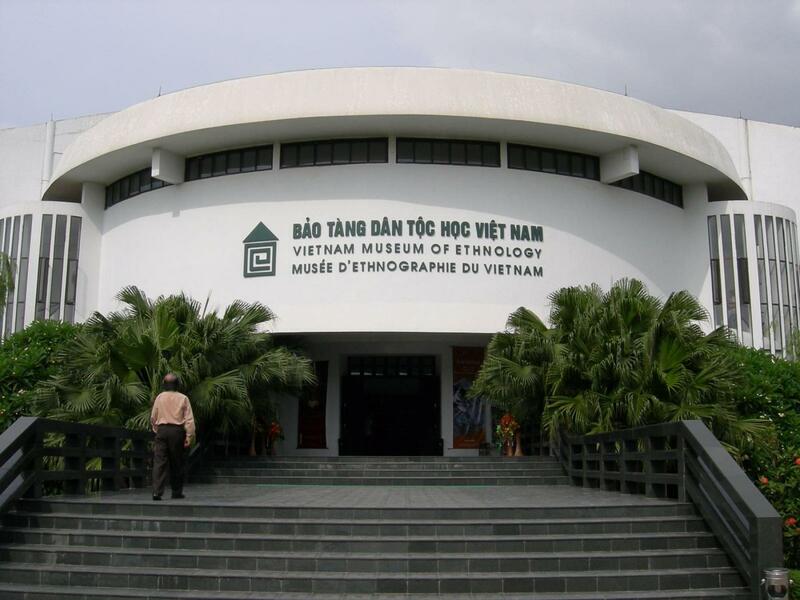 The museum focuses on the 54 officially recognized ethnic groups in Vietnam. It is widely considered to be the finest modern museum in Vietnam and a tourist attraction in Hanoi, opened to the public on since November 1997. The exhibition building was designed by the architect Ha Duc Linh, a member of the Tay ethnic group, in the shape of a Dong Son drum, and the interior architecture was designed by the French architect Veronique Dollfus. The outdoor exhibition area is also a great place to see. 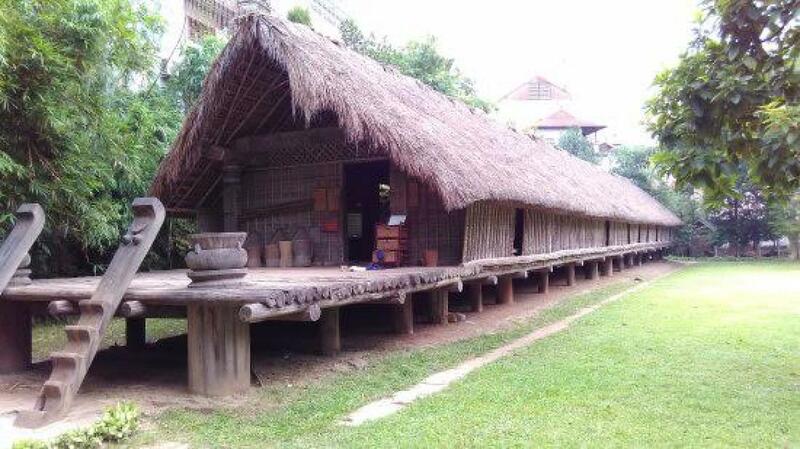 The most popular architectural styles of ethnic minorities were represented including Ede long house, the Tay stilt house, the Yao house half on stilts, half on earth, the Hmong house whose roof is made of pomu wood, the Viet house with tile roof, the Gia Rai tomb, the Ba Na communal house, the Cham traditional house and the Ha Nhi house made with beaten walls. After lunch at 1400pm we will proceed to Hanoi’s war sites to discover the history of Vietnam’s modern wars. 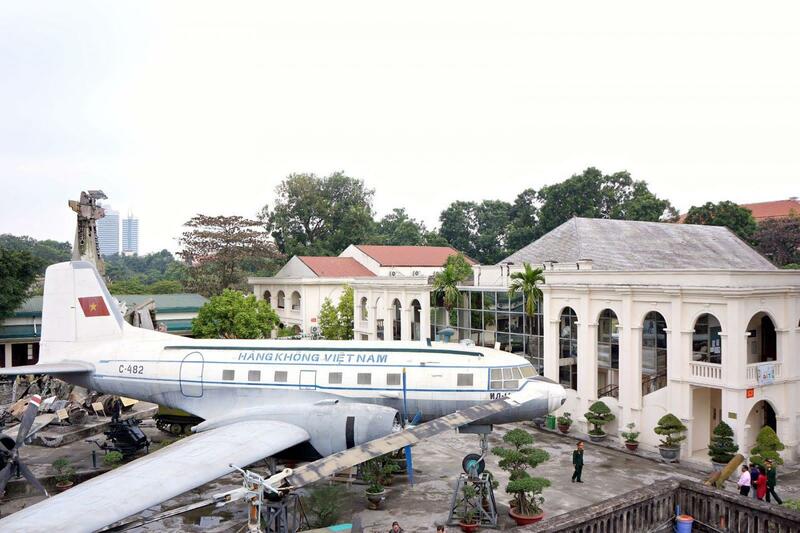 The first point is the Military History Museum on Dien Bien Phu street. The museum covers the American and French wars, as well as the struggles against the Chinese. In addition to numerous photos and remnants from the wars the grounds are jam-packed with tanks, guns and aircraft. It’s like a shoe shop for men. From there, we will walk about 15 minutes to Hoa Lo Prison. 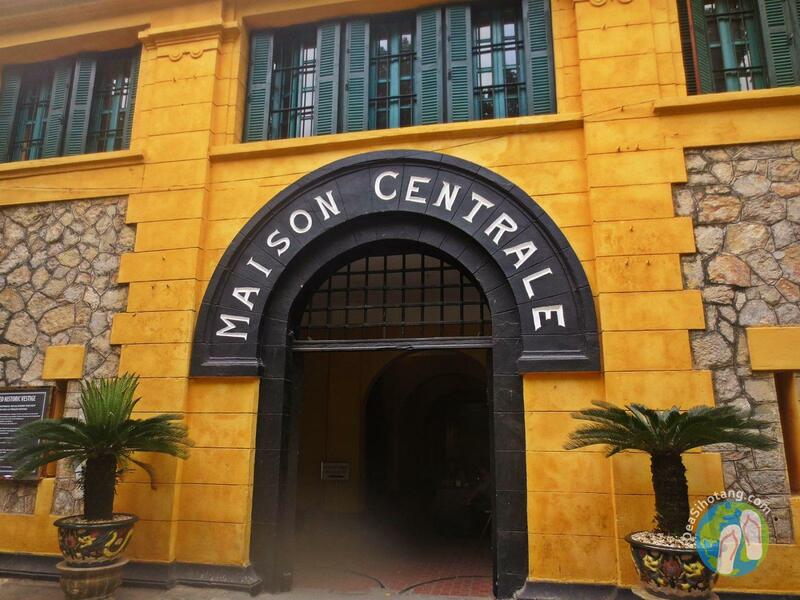 Nicknamed, the “Hanoi Hilton”, the prison was used to house Vietnamese political prisoners, as well as French and American prisoners of war, and offers a fascinating and chilling glimpse of prison life. 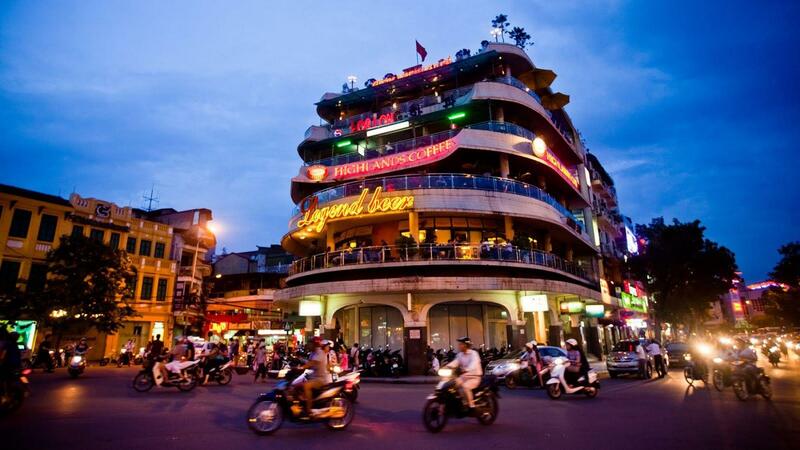 After dinner we can proceed to one of the Hanoi famous karaoke and have a few drinks before we end our night. 07:45 – 08:00 Pick-up at our hotel and depart for Halong city. 12:00 – 12:15 On arrival at Halong city, we will on board 3* Cruise and are warmly welcomed by professional and friendly crew. Check into cabin. 16:30 Arrival at our hotel. 18:30 Prepare to go for dinner. After dinner we will walk along Hanoi Street before we have our Vietnamese Traditional massage at 20:30hrs for 2hrs before we end our last night in Hanoi. This trip cost $506.25 and needs min 8 people to make it happens. Please proceed with full payment by 21 Dec 2017 to indicate your confirmation. Please do not book air ticket till we confirm the trip. We will fully refund if the trip does not happen.